Hey everyone today is Friday and ironically I am posting a new “Friday” illustration to https://joedichiara.wordpress.com. 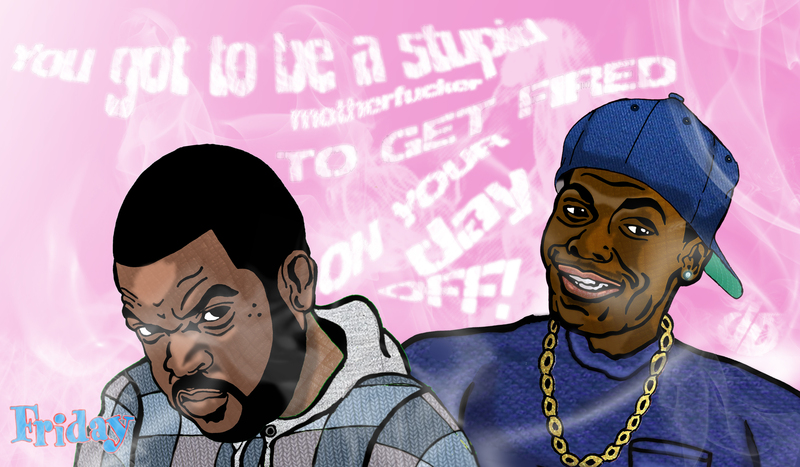 This piece is the final of a series of three that I did regarding rapper/actor Ice Cube. The prior illustrations were inspired by songs from his 1992 album “The Predator, while today’s is by his 1995 film “Friday”. This is a classic comedy if you haven’t already seen it (the two sequels can be ignored since Chris Tucker is not in them. Here is a video I came across with a “best of” compilation of Tucker’s character “Smokey” from the movie, it’s pretty funny stuff. Be sure to check back next week for more artwork and updates.